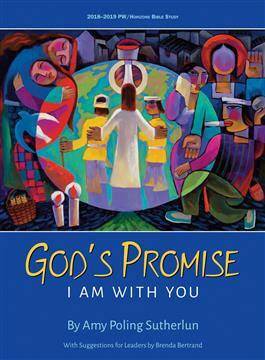 The 2018—2019 PW/Horizons Bible study, God’s Promise: I Am with You, takes readers on a journey through scripture to consider circumstances in which God articulated God’s promise of presence. This study does not delve deeply into manifestations of God’s presence but rather on God’s actual articulation of God’s promise. We will see anew that God offered these words of profound comfort and commitment to individuals and communities from the time of the patriarchs to that of the prophets; from the judges to the kings; before, during, and after the exile; into the New Testament and beyond, to the end of the age. This ecumenical edition draws us together in a study community across denominations.